Imagine you have a neighbour who lives on his own. (I have made him male because it seems that more male than female SAers live alone.) You don’t know anything about him, despite having discussed him with the other neighbours, because no one seems to know him at all. You have caught glimpses of him leaving or returning to his house, but you haven’t been able to catch his attention because he always goes in and out as quickly as possible, looking straight ahead. He blushes and looks down at his feet. He blurts out his name and hurries into his house, dropping his key in the process. By this time you have formed a distinct opinion of your neighbour. He’s weird. You’ll probably report back to the other neighbours and everyone will know that he’s weird. I don’t blame you. Most people don’t behave in that way, and so it’s natural that you should regard him as weird. But we don’t regard ourselves as weird. We have the advantage of knowing why we behave as we do. We know we don’t behave like other people, but our behaviour is a logical result of our thoughts, which are a logical result of our life experiences. What I didn’t say in the book is that after firmly closing his front door, the neighbour, whose name we don’t know (and frankly, who cares? ), went straight to his only friend – a book of blank paper called Sam, half filled with neat handwriting – and poured out his thoughts and feelings. I have to tell you this now, even though my hands are still shaking and sweating along with the rest of my body, and my heart is beating at a thousand beats per second. It’s my own fault. If I’d stayed indoors, this wouldn’t have happened. But I needed some fresh air. I couldn’t stand being cooped up in this place on such a beautiful day. And I was proud of myself for doing it. Of course, I looked out of the window before I left, to make sure no one was around. On the way back, I was less cautious, figuratively patting myself on the back for having stayed out for half an hour without meeting anyone who recognised me. Then suddenly he was there – John, the noisy one. I’ve watched him a lot. He’s always talking to someone, always seems to have something to say. I don’t know how he does it, but I suppose everyone else is like that. I’m the only one who’s stupid and boring and can never find anything to say. John stood in my way so that I had to stop. The sweating and shaking began immediately, as always. I couldn’t even say my name properly. Then I saw my chance. There was a small gap between him and the wall. I saw could squeeze past him, so I did. He must think I’m crazy or half-baked, but I can’t help that. I could hardly stand there on the path and explain to him that my behaviour is a reaction to childhood abuse. Why can’t people simply leave me alone? Social Anxiety revealed, and other titles byMiriam Drori are available on Amazon! Buy Social Anxiety Revealed click HERE. Miriam Drori was born and brought up in London and now lives with her husband and one of three grown up children in Jerusalem. 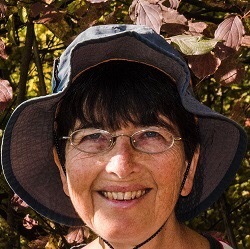 With a degree in Maths and following careers in computer programming and technical writing, Miriam has been writing novels and short stories for fourteen years. After some success with short stories, Miriam turned her hand to longer fictional works, publishing “Neither Here Nor There” and “The Women Friends: Selina” co-written with Emma Rose Millar. Miriam’s latest publication is non-fiction and explores the common but little-known disorder called social anxiety, which has been her companion for most of her life. 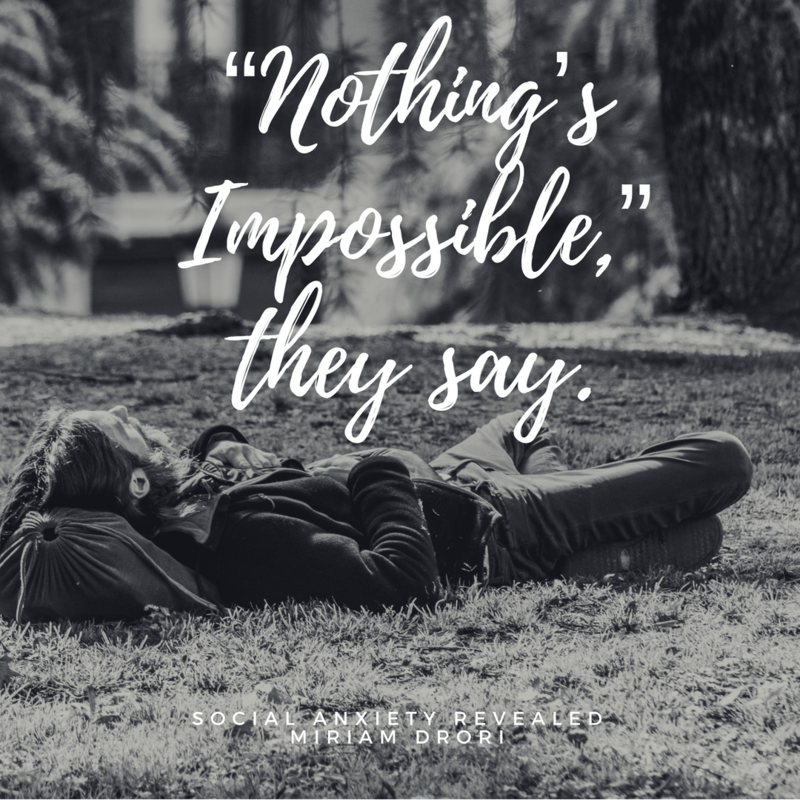 It looks at social anxiety from different points of view, with the help of many quotes from ‘sufferers’ who agreed for their words to be used anonymously. The book has been highly recommended by ‘sufferers’ as well as professionals in this field. When not writing, Miriam enjoys reading, hiking, dancing and travelling. Miriam Drori can be found on Facebook, Twitter, Goodreads, Pinterest, Wattpad and on her website/blog and social anxiety blog. Check out her Amazon Author Page. 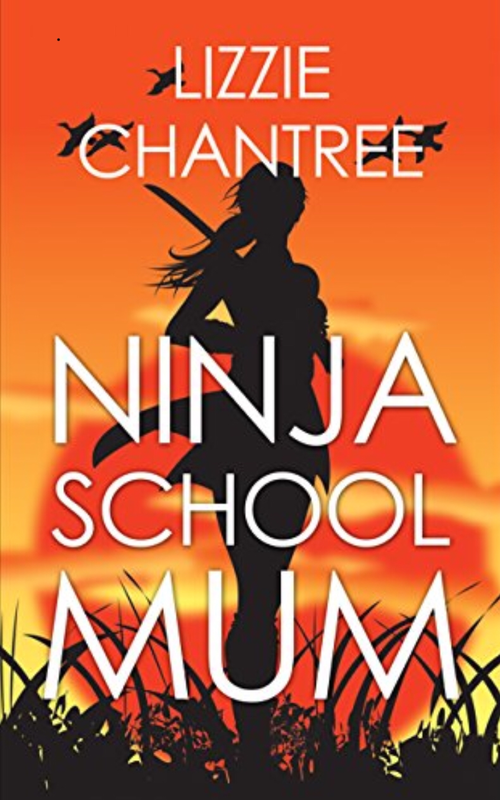 Come and Meet Skye, a school Mum with a secret past. I’m reading this book myself at the moment and I tell you know you will love i!